As a distinguished doctor of medicine, Dr. Kevin Cahill has not only treated patients including Pope John Paul II and Ronald Reagan, but has offered his vast expertise to a number of national and international organizations including the United Nations and the New York Police Department, where he is chief medical advisor for counterterrorism. These efforts to aid human suffering come as no surprise considering that Cahill began his medical career in 1961, studying tropical disease in the slums of Calcutta beside Mother Theresa. Cahill’s relief efforts have since spanned the globe and include treating refugees in Sudan, serving concurrently as the special assistant to the governor of health affairs, chairman of health planning commission, and chairman of the Health Research Council of New York State. Cahill has cared for patients in 65 countries in some of the most war-torn places in the world, and was among the first to predict the famine in Somalia and has been caught behind the lines of armed conflict in Beirut and Managua. 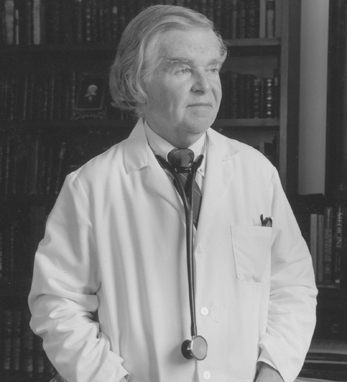 From 1969-2006 he was chairman of the department of tropical medicine at the Royal College of Surgeons in Ireland, where he taught over 4,000 medical students over the course of his career. In addition, he has been director of the tropical disease center at Lenox Hill Hospital, clinical professor of tropical medicine and molecular parasitology at NYU Medical School, and the consultant in tropical medicine for the United Nations Health Services. Cahill’s accomplishments are many: He has received 27 honorary doctorate degrees and written a string of influential works that chronicle his experiences as a tropicalist and a physician, as well as articles and essays on his love for Irish literature, art, culture, humanitarian efforts and international diplomacy. In his years as the president-general of the American Irish Historical Society, Cahill has refurbished its prestigious townhouse home on New York’s Fifth Avenue and has continued the effort to raise the awareness of Irish Americans of their cultural history and ancestry. Raised in an Irish immigrant home in the Bronx, Cahill was taught from childhood the importance of Irish poetry and literature from his own family members. The majority of his relatives established themselves in America and became policemen. His father, who as a physician was the exception to the rule, would buy up land in his native Rathmore, Co. Kerry, and give it to the family members who stayed behind. Cahill’s first visit to Ireland was when he was only 11 or 12, and since then he has maintained a strong connection to the country both through professional and personal work. Cahill and his late wife, Kate, have five sons and several grandchildren.